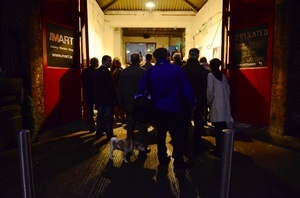 Scenes from the opening of Mart on Rathmines Road, Dublin last week. 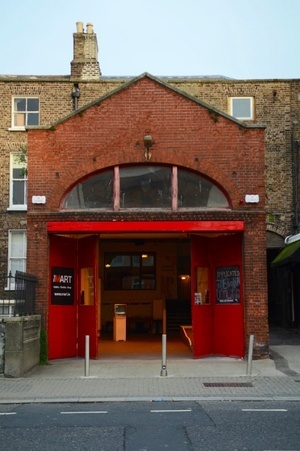 Formerly a derelict fire station; now a softly-lit art space, studio and damn hipster hotspot. 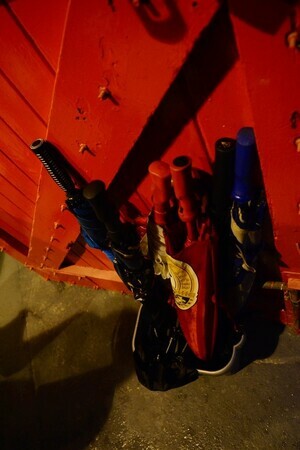 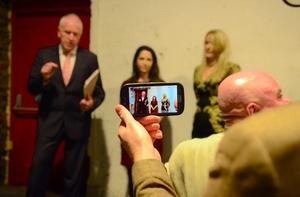 Who will douse Dublin 6′s fires/retrieve their cats now? 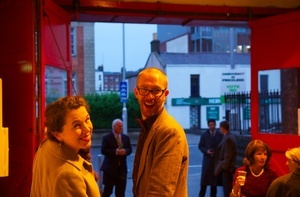 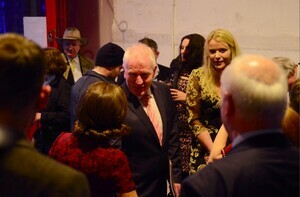 From top: Mart exterior: Matthew Nevin, co-founder of Mart and friend; Arts Minister Jimmy Deenihan greeting artists Emily Bruton and Jill French (right); There’s always one; brollies and art fans loitering outside Mart on opening night.